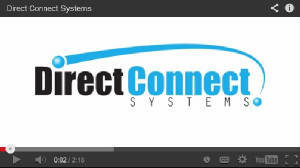 Welcome to Direct Connect Systems product information site! Direct Connect Systems is an ISO9001-2008 registered provider of electrical and electronic components and custom assembly solutions to the commercial and industrial marketplace. Based on a serious commitment to our customers we are developing products and services that will make Direct Connect Systems your best connection. We carry inventory on many hard to come by connectors for the MR-J3 Servo Systems.